Ugh! The Christmas newsletters. You know what I’m talking about. They start arriving in mid-December, oozing with hubris and pretention about Biff’s missionary work with a just-discovered indigenous civilization in Belize, and six-year-old Kennedy’s corporate start-up whose shares are now being traded on the New York Stock Exchange. But as writers we shouldn’t dread the annoying missives, but embrace them by putting our own twist on them. The Christmas newsletter doesn’t have to be a generic highlight reel of the past year’s accomplishments, but can focus on literary successes, serving as a marketing tool to raise our profile. Starting with January, look back at your calendar of activities, your speaking engagements, publishing successes, book readings, seminars, workshops, conferences. Details of these can be fleshed out to create a newsletter that your fans will love reading. 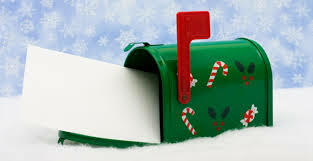 You can find useful tips online for writing a Christmas newsletter. Email it or post it as an open letter on facebook, Linkedin, or other social networking sites to enhance your platform and build an audience with people new to your work. Doing this could make the holidays a little merrier and those Christmas newsletters that arrive in the mail a little more palatable.